← I Am Seeing Green Everywhere, That’s Green Beans! 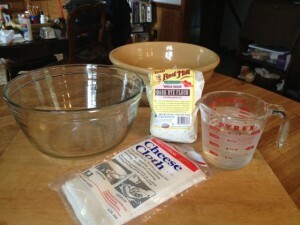 With getting back to basics I am again making our bread. 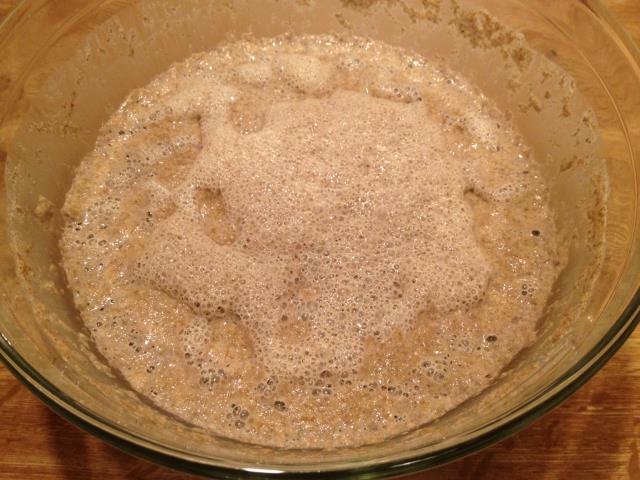 Our bread of choice when I am purchasing is sourdough – we love the airiness of the bread and the flavor. 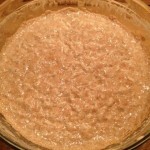 I asked many people if they had a sourdough starter I could get some of, but I was not successful. 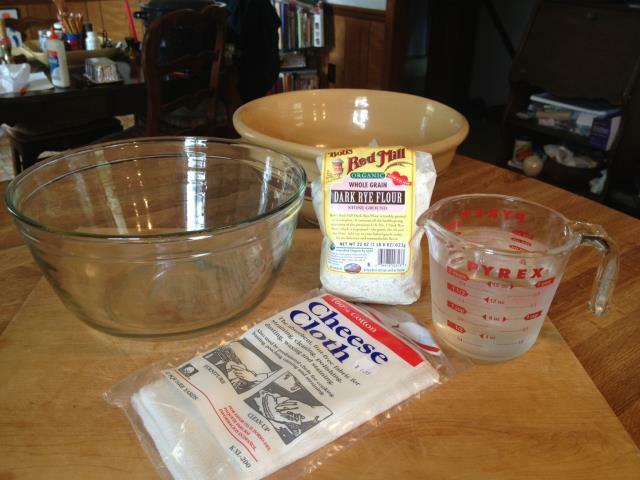 I decided I would take my chances and make my own starter. 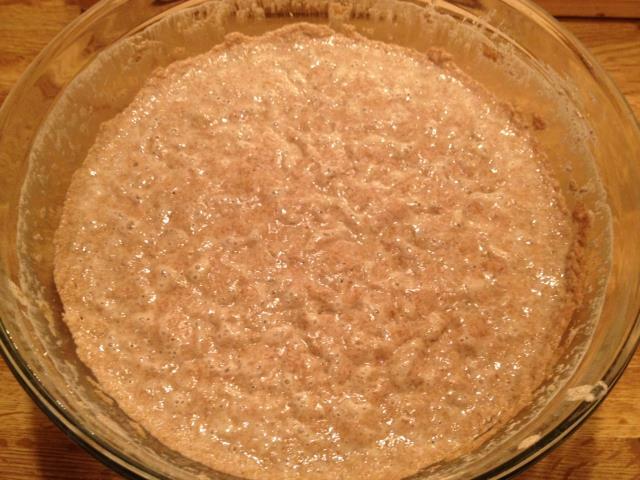 I opened up my “go to” cookbook: Nourishing Traditions and of course there was a recipe for sourdough bread and sourdough starter! 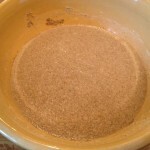 The original recipe calls for freshly ground rye flour, but since i do not have a grain grinder – I ended up buying organic rye flour from the local health food store. 1. 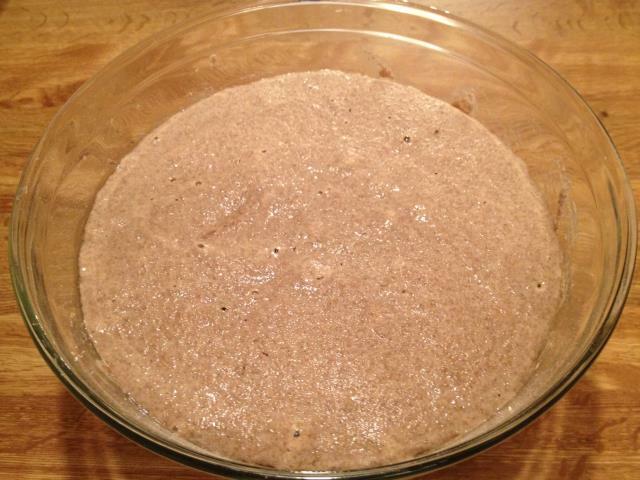 In one large bowl combine 2 cups rye flour and 2 cups water – mix well. 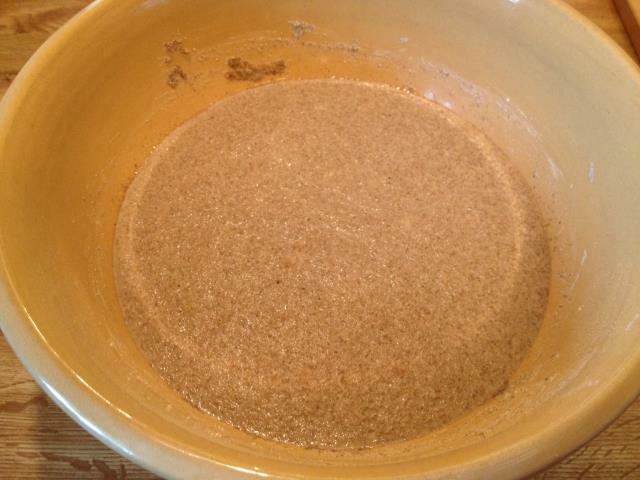 This will make a soupy mixture. 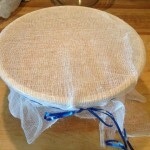 2, Cover the bowl with a double layer of cheese cloth and secure with a large rubber band or twine/ribbon. This allows yeasts and bacteria in but not the bugs. 3. 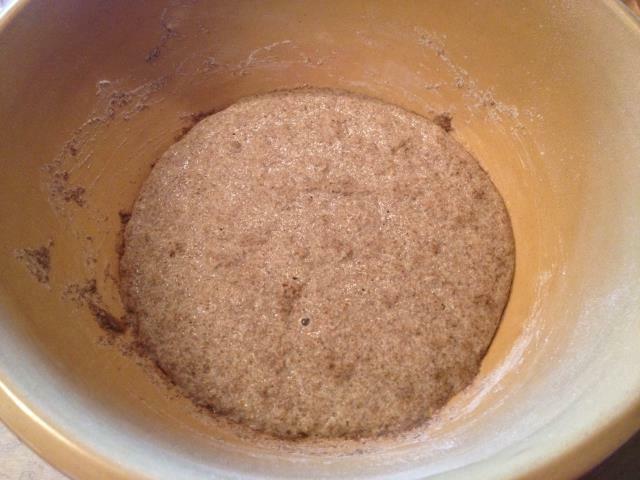 For the next, for a total time of 7 days – transfer the starter into a clean bowl, add 1 cup rye four and enough water to make a soupy mixture. Cover and let stand. 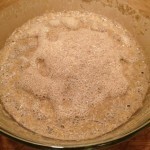 You will notice along the days the starter will get frothy, bubbly and smell sour – this is all part of the process. 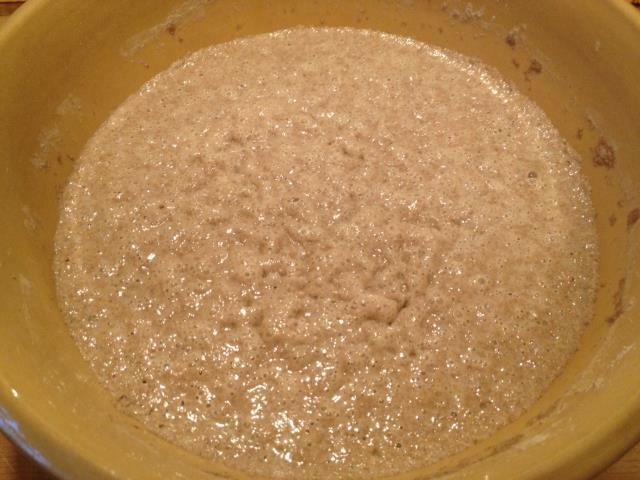 After 7 days the starter is ready to use. Save at least 1 quart (4 cups) for your next batch. 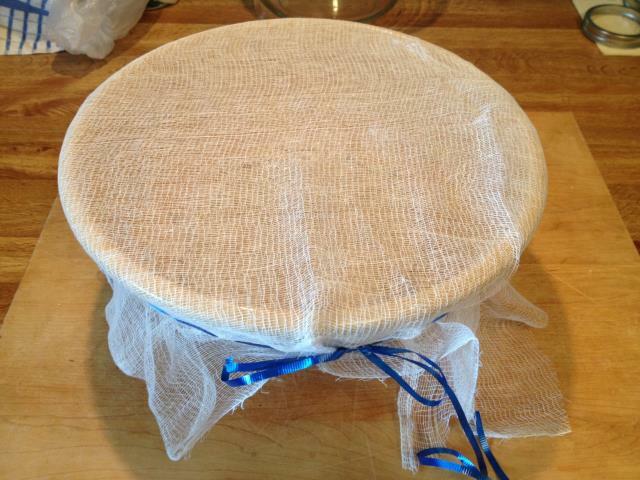 If not using the remaining starter immediately, store in airtight jars in the fridge or freezer. 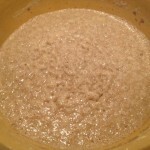 To start a new batch of starter, take a quart of the leftover starter in a clean bowl. 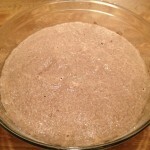 Add 1 cup of rye flour each day plus water until 3 quarts are obtained. 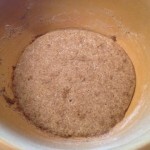 This entry was posted in Bread, Homesteading, Recipes and tagged rye flour, sourdough starter. Bookmark the permalink.